For dyslexic children, they may have problems with forming their letters correctly while writing, e.g. starting from the bottom of the letter instead of the top. Some may get mixed up with b and d. (See the resource to help children remember them). Children can also practise forming the letters and linking them in sand in a tray or shaving cream on a table. This makes it fun at the same time. Learning to draw and write for young children is essential in the development of their handwriting. Children move through different developmental stages of holding a pencil and experiment with writing at their own rate. Some children may start to write letters or their name, but there is no set standard for where children should be with their writing because every child is different. The parent guide for South Australia is a good resource for more information for parents about handwriting. When children first go to school, they practise learning to hold a pencil correctly and to sit with the correct posture. They learn how to form the letters and numbers correctly. This also helps them learn to write the letters the same size and then on lines. As they get older, they are taught to link the letters together to form cursive writing. Each state in Australia has a different handwriting format, so it is important to check what are the guidelines for where you live. The states provide information on how to form the letters and some allow the fonts to be purchased or downloaded. You can also ask your child’s teacher for a copy of the handwriting so that you can practise at home. We have included some resources from Sparkle Box, where you can print out the worksheets and children can practise their writing. They can also practise tracing different lines, as this helps them with their fine motor skills (their writing and drawing). Other activities that are good in developing fine motor skills in children are cutting, painting, threading, drawing, puzzles or Lego construction. Children can develop their coordination and strength by playing sports or games or going to the playground. All these skills assist them in them learning to write. 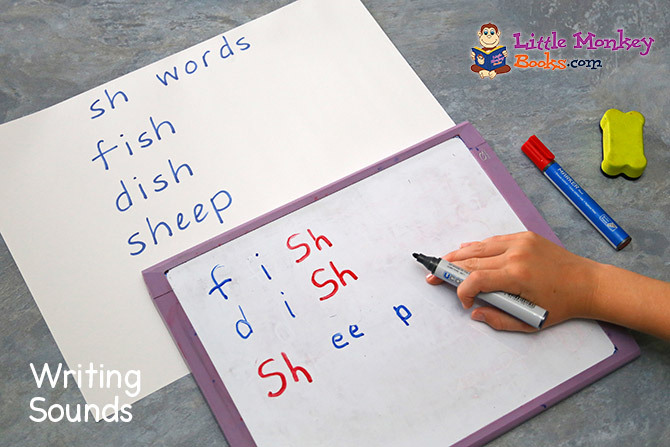 When learning to read, children first have to link the shape of the word on the page with the sound it makes. Then, when it comes to writing, they have to recreate that shape back onto paper. For children with dyslexia, decoding these patterns and making these links can often be very difficult. As a result, they frequently fail to develop the automatic flow of writing which will help them to express themselves clearly and easily in writing. 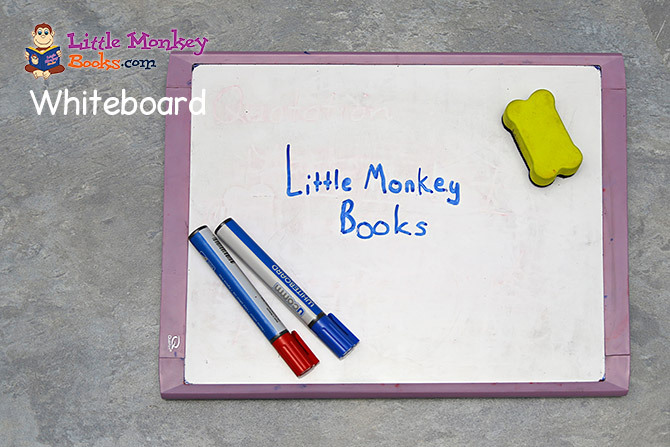 Our Tip: Use a small whiteboard with coloured markers to practise writing the alphabet, sounds, words or sentences. You can play games such as hangman or word bingo etc. Or maybe write sounds in different colours. Typically, when first learning to write, children ‘print’ their letters. They then move on to ‘joined up’ writing at a later stage. For children with dyslexia, learning two styles of handwriting can add an extra layer of difficulty and cause confusion. It is, therefore, much more helpful if a young child can learn to use a single system of handwriting right from the start. The most widely recommended handwriting style is called continuous cursive. Its most important feature is that each letter is formed without taking the pencil off the paper – and consequently, each word is formed in one, flowing movement. Paper: It is a good idea to use lined paper. At the earliest stages, you can use double lines to show the correct size of ascenders and descenders. Lines should be well spaced to start with – eg 10mm apart – gradually reducing to single lines about 5mm apart. Posture: Make sure that the chair and desk are at the correct height. Your child’s back should be straight and feet resting on the floor. A right-handed child should have their book slanted to the left. For a left-handed child the book should be slanted to the right. Implements: It is best to use a standard HB pencil, well sharpened. With the youngest ages, you might use a chunky triangular pencil to aid the grip. As children get older and more confident, they can move on to a fountain pen or a special handwriting pen. You should avoid using ballpoint pens for handwriting exercises. Some pupils with dyslexia and related conditions such as dyspraxia find that the difficulties associated with handwriting can inhibit their ability to structure and write a piece of work. The handwriting itself can take up too much concentration and effort. Teaching touch typing skills and allowing pupils to use a computer for written work can allow more concentration to be focussed on the content. Little Monkey Books are all written with a new sans serif font we’ve specially designed – GEORGEE. The font design in our books aims to support handwriting as taught by Australian schools. The font also improves legibility and readability of letters and words thereby making communication and improves easy to remember and recall for the student. For more information about GEORGEE see Brand Action, who designed it. Below is a list of Australian states and links to their handwriting guidelines.